It is no mystery that both the Tampa Bay Rays and Oakland A’s have problems. Despite success on the field in recent years, both teams rank in the bottom-third in Major League Baseball attendance, with the Rays drawing 22,758 per game in 2010 (no. 22) and Oakland selling an average of 17,511 tickets (no. 29).New stadiums would go a long ways to helping both franchises. 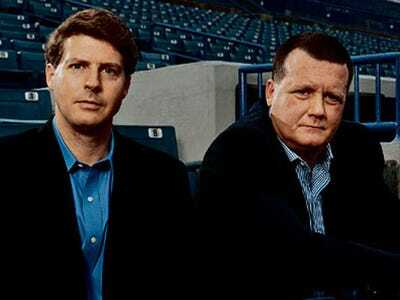 But Ken Rosenthal reports that some owners think the easier solution would be contraction. To be specific, Rosenthal says these rumblings are coming from “certain big-market teams.” Considering the Yankees (~$130 million) and Red Sox (~$87 million) were the two teams hit with the biggest revenue sharing and luxury tax tabs last season, it is not difficult to imagine they are the two teams that stand to gain the most by contraction. As a fan of the Rays, I have never complained about the Rays having to compete against teams with payrolls that are often four times as big. As long as the Yankees and Red Sox play within the rules, they are doing nothing wrong. But if the Red Sox and Yankees are going to take advantage of salary cap-free system, they can’t also complain, as Hank Steinbrenner did earlier this week, when teams like the Rays find their own way to take advantage of the same system. Steinbrenner bashed baseball’s current economic system when he referred to it as “Socialism, communism, whatever you want to call it.” Of course, this position is laughable, and the commissioner has already told Hank to shut up. But in the long run, what does this do for the growth of Major League Baseball? Not much. Baseball is not going to sell more tickets or merchandise, or have more fans watching games on TV if they contract two teams. On the other hand, Oakland has shown they can be draw well and central Florida is still an untapped baseball market with plenty of room for growth. An increase in revenues for all owners can be had if these two teams can get new stadiums and begin attracting fans that are currently turned away.